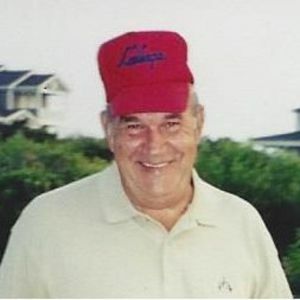 GREENVILLE – David Daniel Brooks, 76, of Greenville, died Friday, May 10, 2013 at Owensboro Health Regional Hospital. He was born August 31, 1936 in Muhlenberg County, was a retired miner and farmer and a member of the South Carrollton Baptist Church in South Carrollton. Survivors include his son, Rev. Greg(Stephanie)Brooks of Greenville, three daughters, Diane Doss of Greenville, Teresa Richardson of Owensboro and Kelly(Johnny)Cavitt of Drakesboro, nine grandchildren, four great grandchildren, the mother of his children, Dorothy Brooks of Drakesboro and his companion, Charlotte Brooks of Calhoun. Funeral services will be held Tuesday, May 14, 2013 at 11:00 AM at Tucker Funeral Home in Central City conducted by Rev. Greg Brooks & Rev. Curtis McGehee with burial to follow in the Jernigans Chapel Cemetery in Greenville. Visitation will be Monday after 5:00PM at the funeral home. There will be a meal provided for the family and friends after the service at the South Carrollton Baptist Church at 2:00PM. 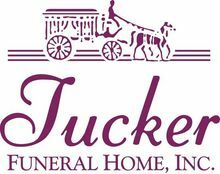 Online condolences may be made at www.tuckerfuneralhomes.com. The beautiful and interactive Eternal Tribute tells David 's life story the way it deserves to be told in words, pictures and video. Diane,Teresa,Greg and Kelly. I'm so very sorry for your loss. Revelation 21:4. I cannot get a grip on him being gone. We had so many plans before us. Either a cruise to Alaska or looking at the fields in Iowa, Kansas or Nebraska. He was the most kind concerned man that I have ever known. He was always concerned about me and telling me what to do to take care of my health when he wouldn't take care of himself. We love the laughter we shared. Just ask Greg, he would be right there with us during some of our fun times. He loved my family and most of all his grandchildren, especially Caleb. We talked everyday and in this last two weeks he would call me 3-4 times a day just to talk and tell me what was going on and what did I think. This is one sweetheart I will miss the rest of my days. I know for a fact that he is in heaven and that I will see again. I certainly didn't know he was that close to death. One thing for certain when someone goes to the hospital you better visit them because they wouldn't be there unless something is wrong and this was one of those times. I love you David and I am going to missed our being together. Having David in our lives was a true blessing. He was a kind, caring man, who was always the same everytime you saw him. He was a welcome member of our family and we are happy that we had the chance to know and love him. May you find comfort and peace knowing he is in Heaven with the Lord. To Bro. Greg, Dianne, Teresa, and Kelly and rest of the family May God comfort you all at this sad time but know in ur hearts where that Good man is he's with his Lord and saviour I can see him now sitting behind us in church watching his son preach a great sermon with so much love in his eyes for all you children and grandchildren his presence will be missed . God Bless each and every one of you my Love and concern is for you all COOKIE. David was one of the finest people we have ever met, always concerned about everyone else before himself, soft spoken, and quick to listen, we always enjoyed our talks, again there was not a FINER person!!! He'll be greatly missed. But now take comfort because he sits with our Lord. David you will be sadly missed words can't say just how much. You were a fine person and glad you were apart of my life. You and my Grandpa Brooks look so much a like I wished I sat and talked with you more through the years but one day we will all set together at the throne of God. I remember David from way back when Diana and I would go out riding around on the weekends. I hope that you guys can find comfort in your many memories. Friendship and sympathy.